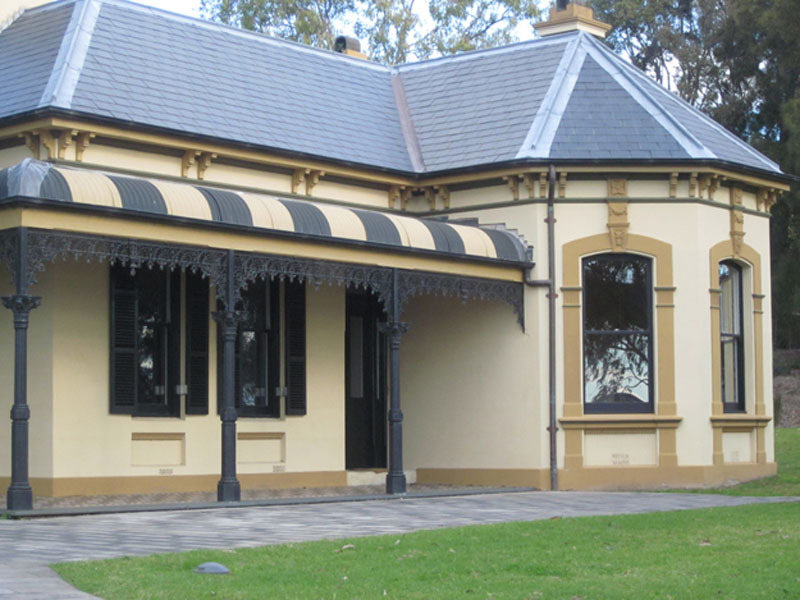 On the point is a sign marking Bellevue, a villa on two levels built in 1896 by Ambrose Thornley Jnr for William Jarrett, a publican and businessman who served on Glebe Council 1872-5. On the point is a sign marking Bellevue, a villa on two levels built in 1896 by Ambrose Thornley Jnr for William Jarrett, a publican and businessman who served on Glebe Council 1872-5. There is a photo of Bellevue as it was in 1899 on the interpretative sign on the Leichhardt St side of the building. This house has great symbolic significance because it was saved from demolition by local resident action. 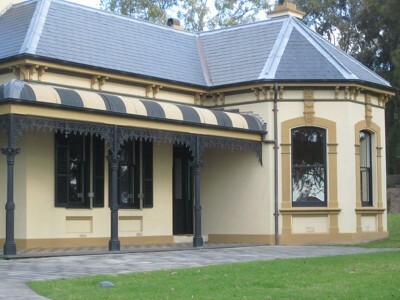 It was acquired by Leichhardt Council in 1981 and given a new roof with money provided by the NSW Heritage Council. It then had to wait until 2005 to be restored by the City, which approved its use as a cafe in 2010. Just below the steps is the only public pontoon on the foreshore, built in 2009. In Blackwattle Bay Park near the end of Leichhardt Street is a plaque commemorating the efforts of the Glebe Society, unions and resident groups towards it creation. Until 2009 it was the only official recognition of the epic achievement of gaining complete public waterfront access. The Vanderfield and Reid timber mill once occupied this site.